The Hannibal 8 | Blathering on and on about movies from the Fifties, Sixties and Seventies. 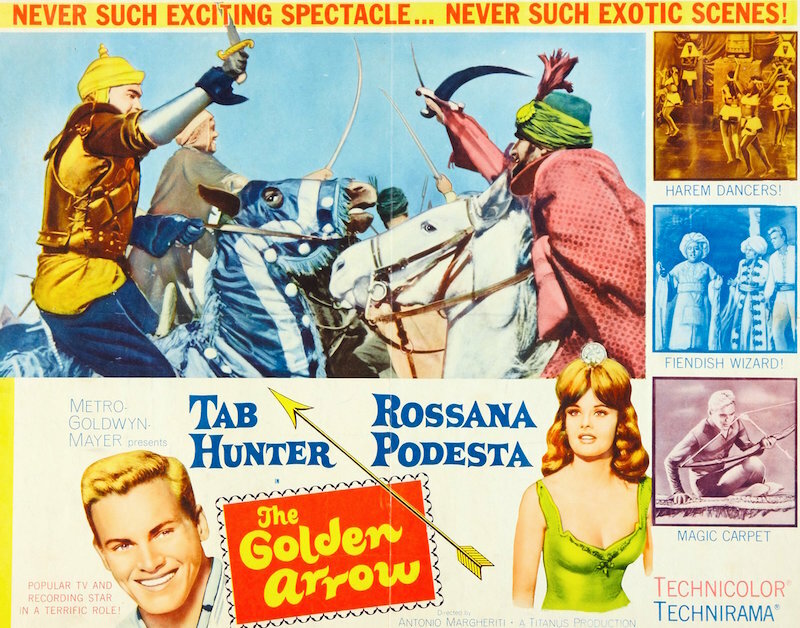 The only time I’ve ever run into The Golden Arrow (1964) was back in the 70s on the afternoon movie. You can imagine how badly the Technirama was butchered to shoehorn it onto TV. So I’m really stoked to see it coming on Blu-Ray from Warner Archive. This Italian epic comes from director Antonio Margheriti, who made a string of wonderfully delirious science fiction movies (the Gamma 1 saga) a few years after this picture — The Wild, Wild Planet (1966) is probably my favorite of the bunch. 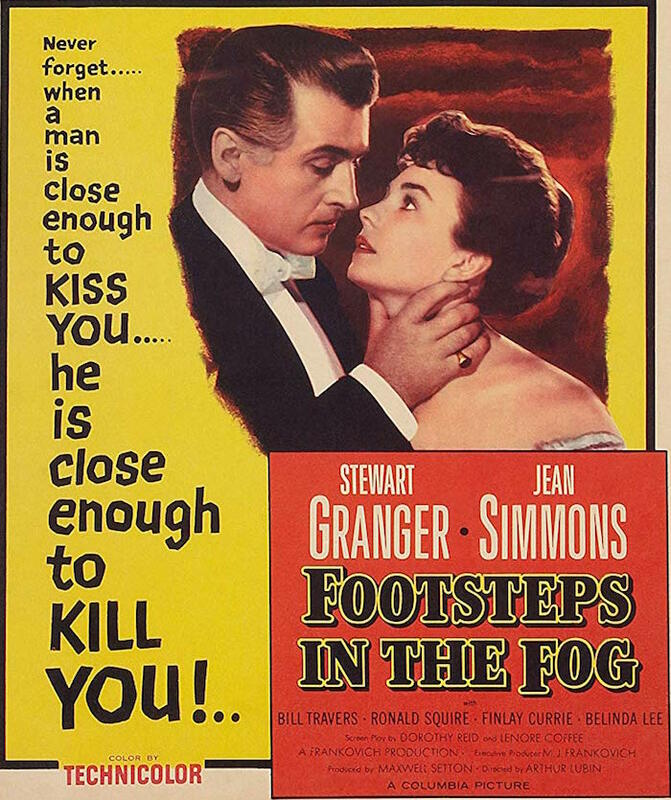 He’d already done a few Barbara Steele and peplum movies, too. Then there’s his 60s spy movie Lightning Bolt (1966). If your taste in movies runs toward 60s Italian weirdness, Margheriti’s your man. Tab Hunter seems to be having a blast in this, though it’s a shame he didn’t get to supply his own voice. His leading lady Rossana Podestà made all kinds of cool Italian movies, and I’d really love to see her 7 Golden Men (1966) make it to DVD. It’s an ultra-stylish caper picture with a liberal dose of that 60s Italian weirdness I just mentioned. The Golden Arrow is scheduled for a May release. 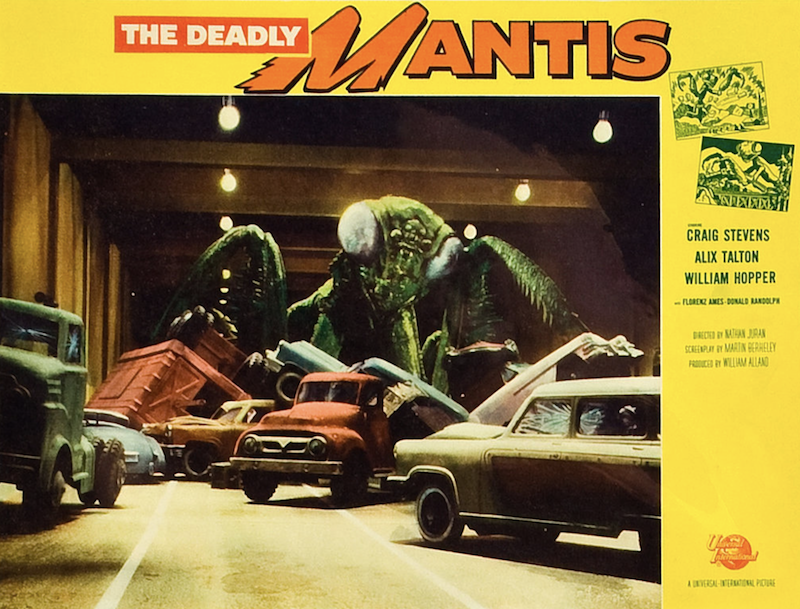 Blu-Ray Review: The Deadly Mantis (1957). 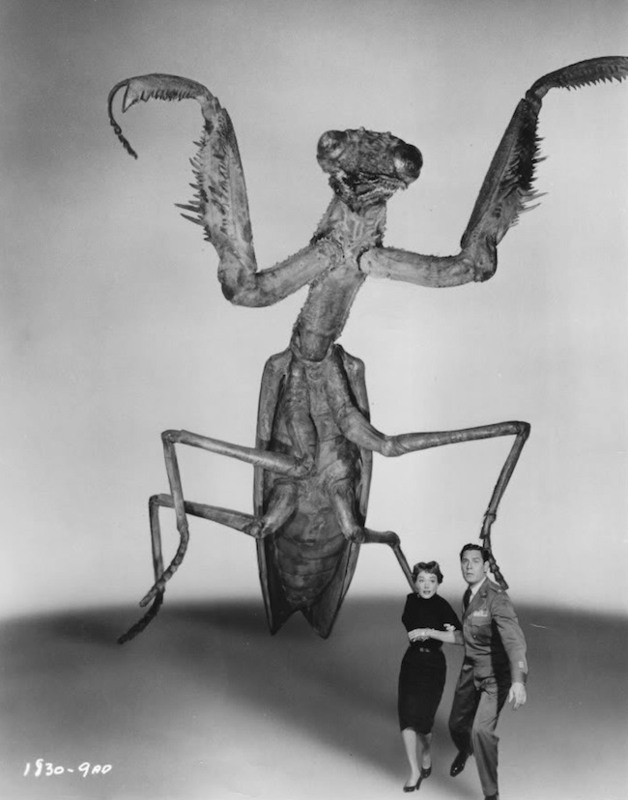 The 50s Big Bug movies are all terrific. Some are better than others, of course, but there’s something about them I love. They’re just so damn entertaining! 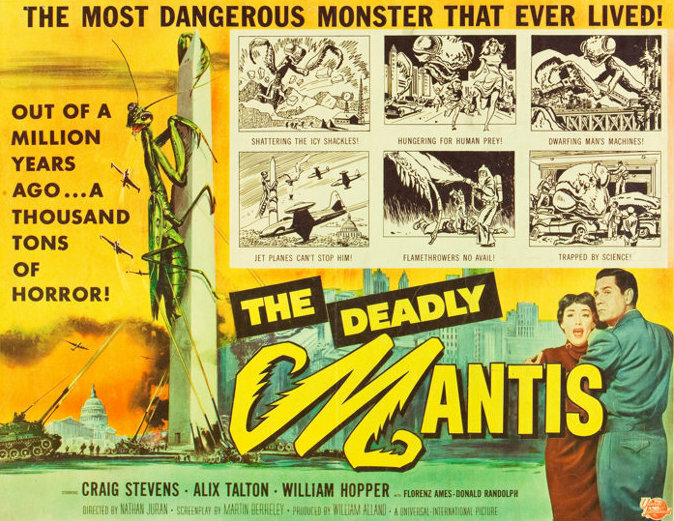 The Deadly Mantis (1957) is one of the later ones, and while it’s certainly no Them! 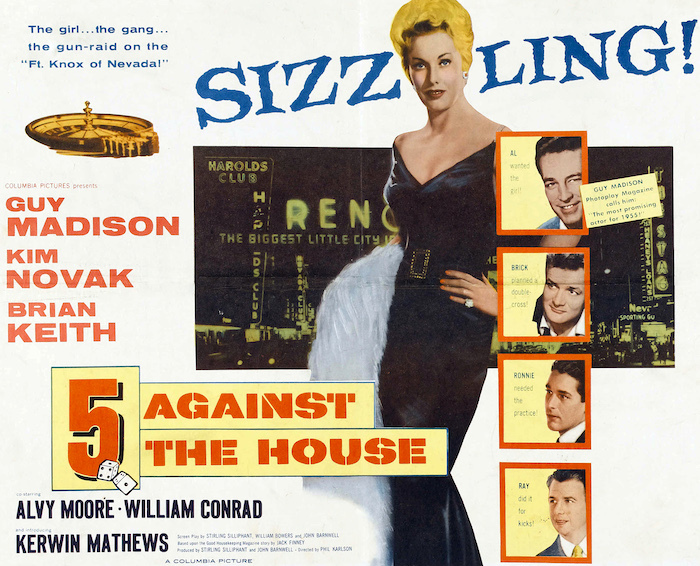 (1954), it’s got plenty going for it. A volcano eruption sets off a chain reaction — an iceberg melts, releasing a giant praying mantis that’s been frozen for eons. It attacks polar military outposts, an airplane and an eskimo village, all through the liberal use of stock footage (this film might have the most stock of any movie I’ve ever seen). It’s up to a scientist (William Hopper), an Air Force CO (Craig Stevens) and a reporter (Alix Talton) to sort it all out. Then there’s the Washington Monument. 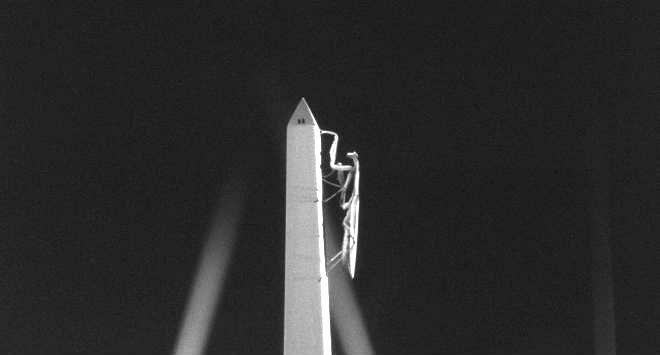 They took a real praying mantis and let it do a slow, graceful, creepy crawl up a (very) miniature monument. It might be the best single shot in the movie. 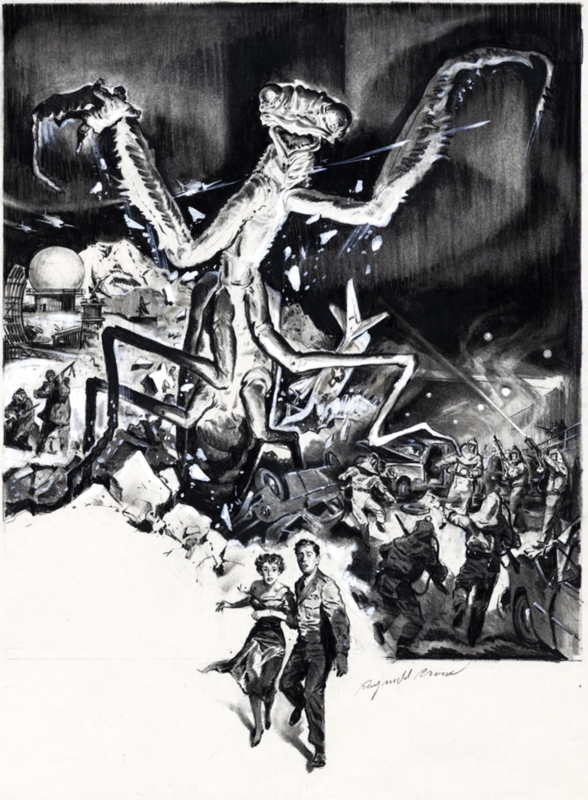 I have a soft spot for this movie bigger than the deadly mantis itself, and I’m so stoked to see this type of thing get this level of TLC. Highly recommended. Blu-Ray News #231: The Great Northfield, Minnesota Raid (1972). 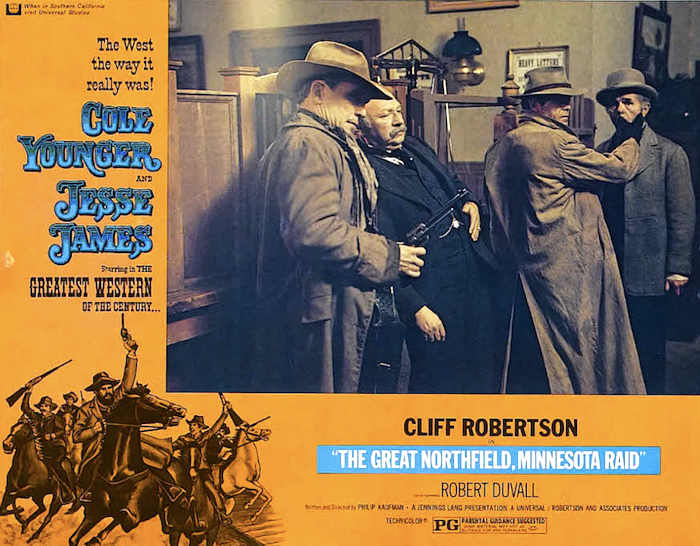 I don’t mean for this to sound negative, but The Great Northfield, Minnesota Raid (1972) is one of the few so-called Revisionist Westerns I really like. From the great cast to the narration from Paul Frees to Bruce Surtees’ terrific camerawork, it’s a picture that really clicks for me. Shout Factory’s upcoming Blu-Ray should be a real treat. The film deserves it. Blu-Ray News #230: The Brink’s Job (1978). 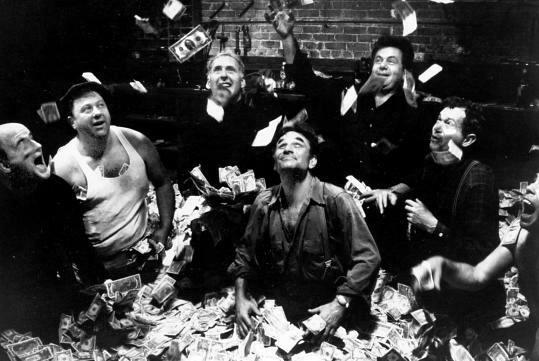 After the box-office failure of his masterpiece Sorcerer (1977), William Friedkin turned out a gem of a heist picture, The Brink’s Job (1978). It’s a shamefully overlooked movie — from a script by Walon Green who wrote Sorcerer and The Wild Bunch (1969), and I’m so happy to hear it’s getting a Blu-Ray release from Kino Lorber. Can’t wait. Blu-Ray News #229: Noir Archive Volume 2: 1954-1956. The first nine-film, three-disc volume in Kit Parker’s awesome assemblage of hi-def Film Noir hasn’t hit the street yet, and now the second’s been announced. These are coming in July, and it’s another great lineup. 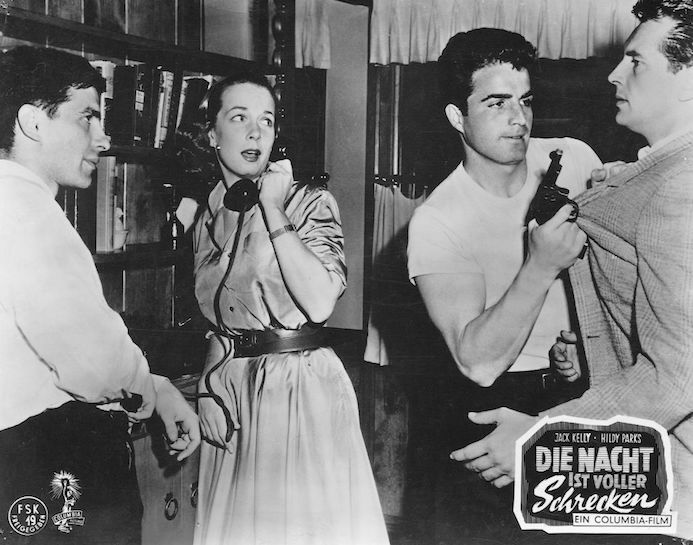 Hugo Haas directs himself, Cleo Moore and John Agar in a love triangle involving a lost gold mine. Nathan Juran directed lots of cool stuff, but this is the only one with Mari Blanchard as a waitress. This one involves gold, too, but it’s a stash of Nazi gold. Nathan Juran did some cool stuff — from The 7th Voyage Of Sinbad (1957) to Good Day For A Hanging (1958). Sort of a combination of The Hitch-Hiker and The Desperate Hours, with John Cassavetes one of the crooks. 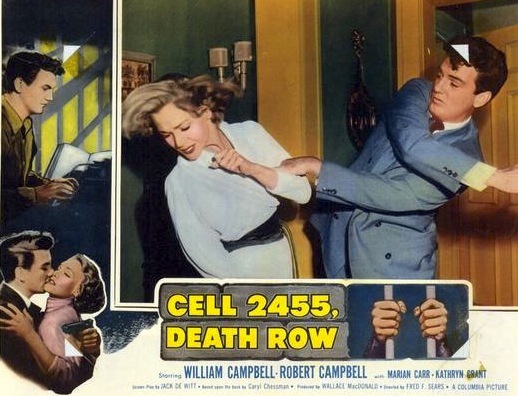 The only picture in the set in color, this one has Stewart Granger as a killer who chooses the wrong victim, literally. Based on the true story by Caryl Chessman. Director Fred F. Sears is a real favorite of mine. A team of Army buddies snag a camper trailer and head to Reno to rob the casinos. Phil Karlson keeps things tough and tight. Terrific movie. William Castle working for Sam Katzman. Beverly Garland. Black and white widescreen. Why haven’t you pre-ordered one already? 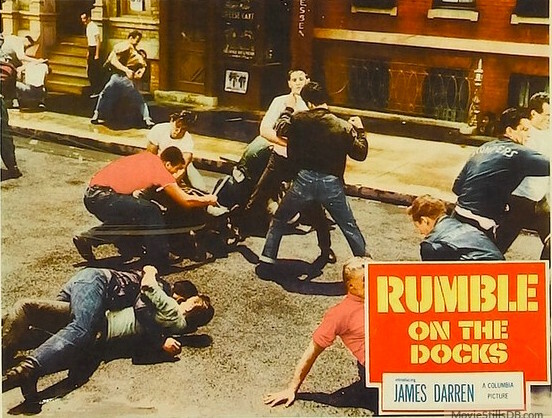 A boxer gets sucked into the London mob, with a little help from Faith Domergue. Vernon Sewell directed lots of B movies in the UK, and this is a cool one. Fred F. Sears, Robert Blake and Timothy Carey all working on a Sam Katzman movie — and the results are every bit as wonderful as you might be imagining. To have these nine pictures, in their original aspect ration and high definition, is a real treat. I can’t wait. Night Creatures (1962, AKA Captain Clegg). 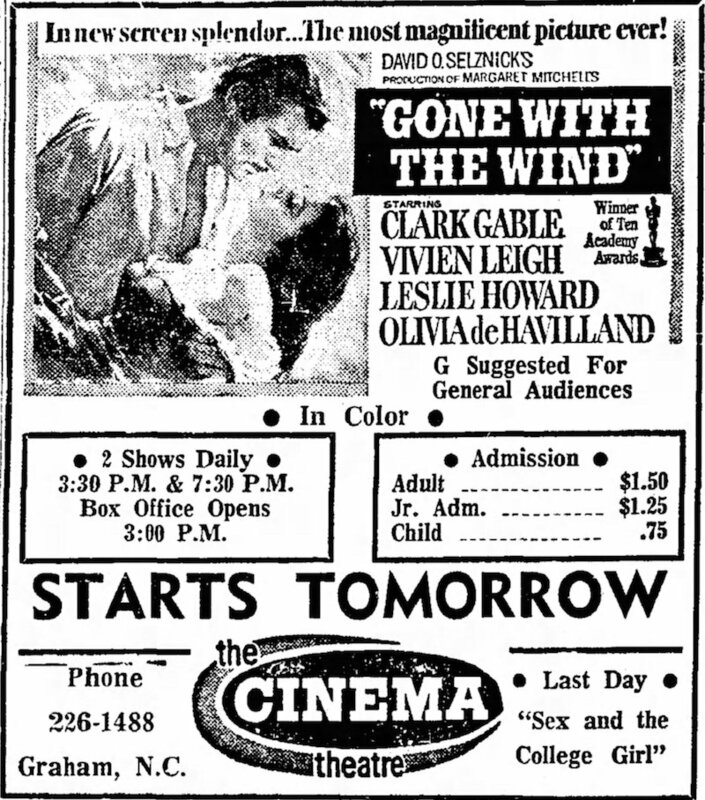 What if Heaven was a place where you’ve got a stack of old movies starring, or made by, all your favorites — that you’ve never seen? Like maybe another couple Scott-Boetticher Westerns, a second George Lazenby Bond movie — or a Peter Cushing Hammer picture you somehow missed while here on Earth. Well, that last little slice of Heaven materialized here in Raleigh, North Carolina, over the weekend. 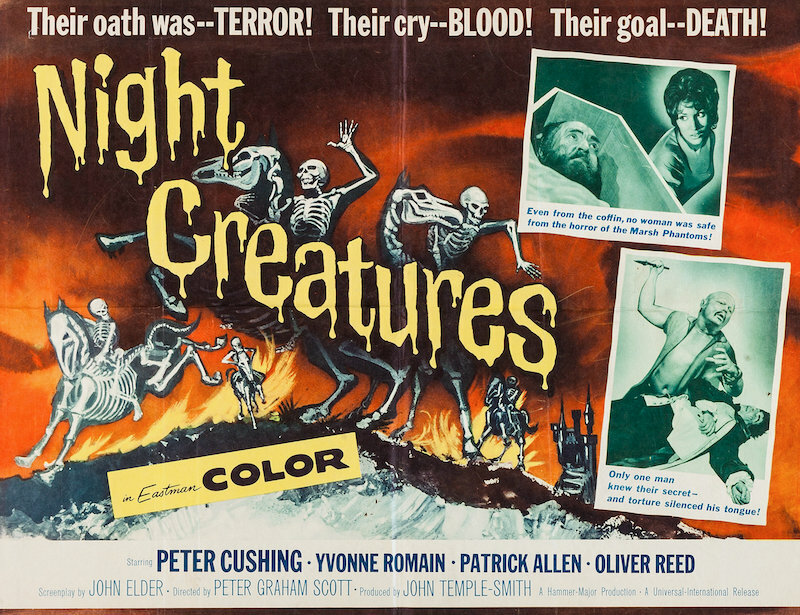 I finally got around to checking out Night Creatures (1962, UK title Captain Clegg). There’s an interesting bit of history to this one. 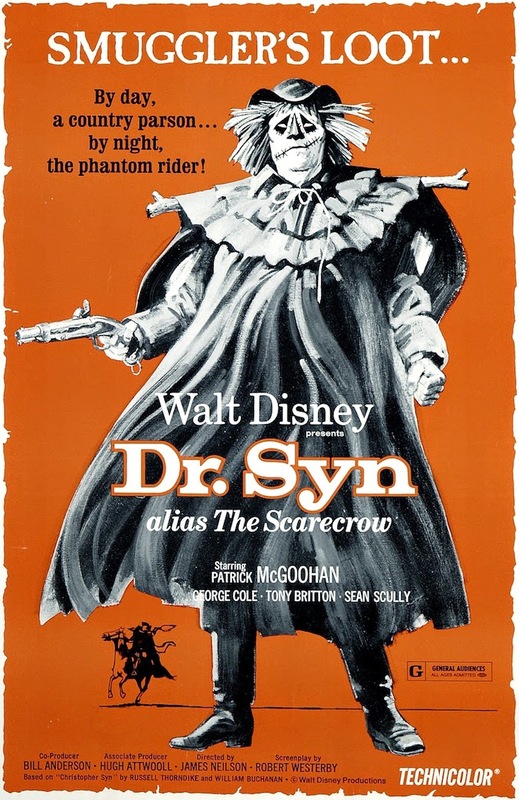 Hammer Films planned to remake Dr. Syn (1937), which starred George Arliss as the mysterious smuggler Reverend Doctor Christopher Syn — based on the novels by Russell Thorndike. Anyway, back to Hammer. To avoid any legal hassle from the Disney people, Hammer changed the character’s name to Captain Clegg and made a few other modifications. There’s still a scarecrow, there’s still plenty of brandy to be smuggled and taxes to be avoided. But we now get the creepy Marsh Phantoms. 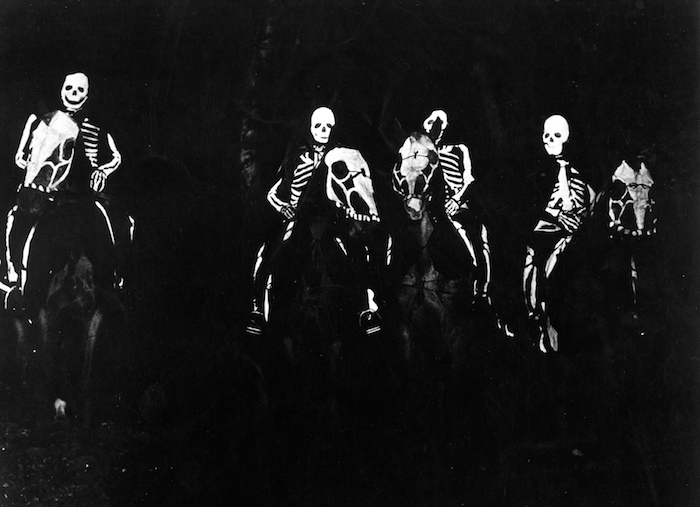 Stills of the Phantoms that turned up in my monster movie books and magazines had me wanting to see this movie to a ridiculous degree. Somehow, it took me more than 40 years to catch up with Night Creatures. But it was worth the wait. Turns out, it’s not really a horror movie at all, it’s a dark, moody pirate/adventure story. Hammer was pretty good at pirate movies. Their The Pirates Of Blood River, from the same year as Night Creatures and with some of the same cast, is a hoot — and they’d follow it with The Devil-Ship Pirates in 1964. Both star Christopher Lee. I’m not gonna spoil things by giving you a synopsis. It’s too good a movie for me to screw it up for you. 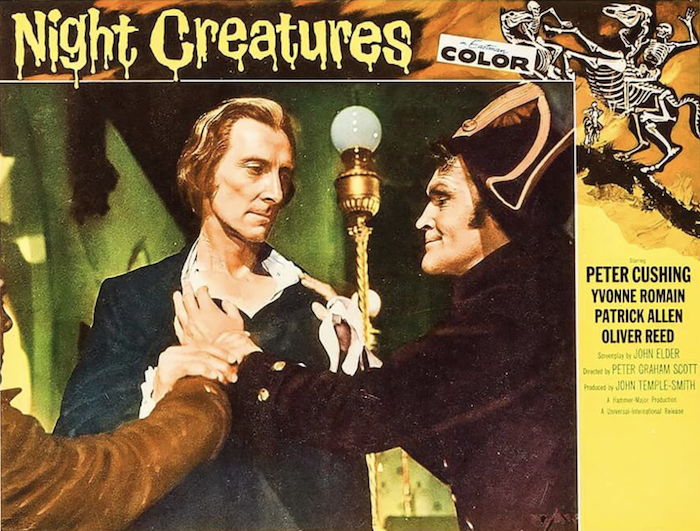 Night Creatures is Peter Cushing’s movie all the way, in spite of some strong work from Oliver Reed, Michael Ripper (who’s got a bigger part than usual) and the lovely Yvonne Romain. Cushing gets to do plenty of action stuff, which he’s always very good at. It’s shame he’s known these days primarily for standing around and being mean in Star Wars (1977). Cushing is so versatile, and he really gets to show his range in this one, going back and forth from ruthless pirate to compassionate preacher numerous times over the course of the picture’s 82 minutes. 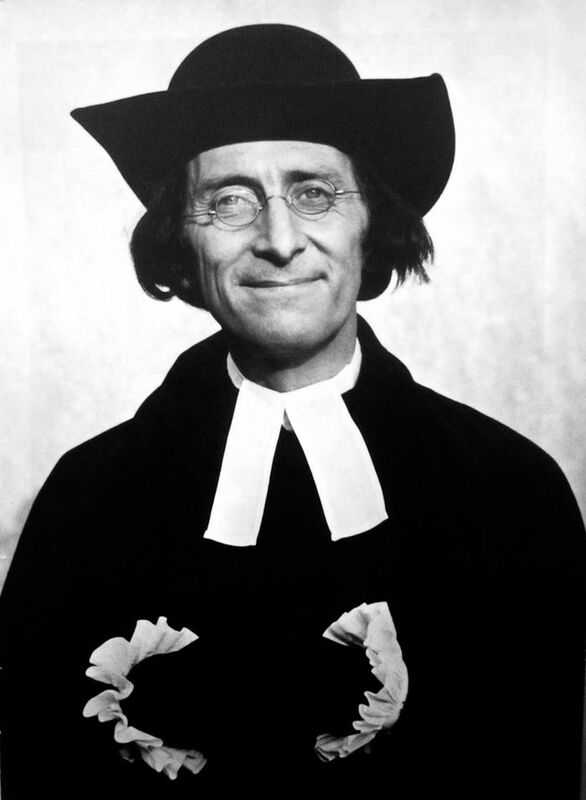 Over the last year or so, I’ve developed a real love of Cushing. He’s a joy to watch. Patrick Allen is appropriately hateful as the government man sent to track down the band of smugglers and meeting the Marsh Phantoms along the way. The Phantoms’ scenes delivery the goods I’d be waiting decades for — though I’d love to have seen what Jack Asher, Hammer’s other DP, would’ve done with those scenes on the moors. His stylized color effects always knock me out. There isn’t a thing in this movie that isn’t cool. 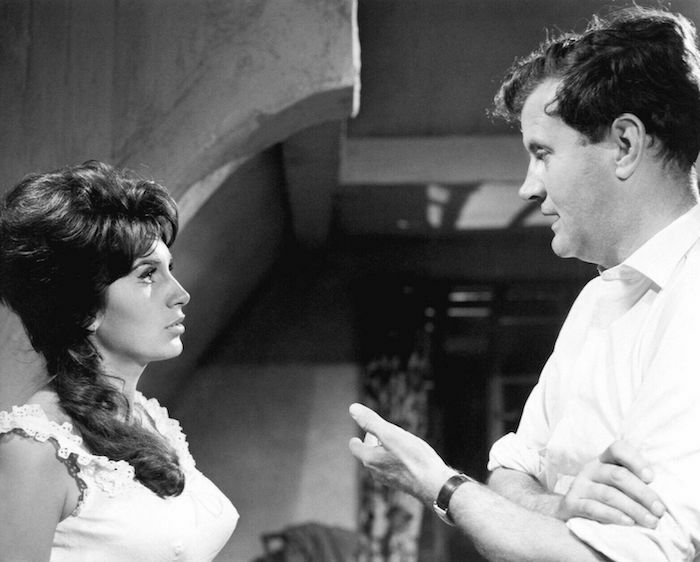 Peter Graham Scott directs Yvonne Romain. I finally came across Night Creatures in the Hammer Horror 8-Film Collection Blu-Ray set from Universal. It looks great, as do all the other pictures. I saw Hammer’s Phantom Of The Opera (1962) on film repeatedly as a kid, and the spot-on transfer looks exactly as I remember it. Night Creatures gets my highest recommendation. It’s become a new favorite around my house.